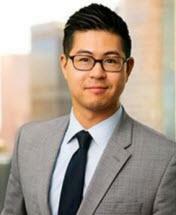 Alexander Su focuses on helping a wide range of clients with their disputes in all phases from pre-litigation to post-trial. Alex has successfully represented entrepreneurs, entertainment professionals, real estate entities, and businesses with high-stakes matters, domestic and transnational. As he builds his practice, Alex uses an interdisciplinary and international perspective to strategically assess clients’ challenges, zoom in on the most pressing concerns, and deliver tailored solutions. His previous work experiences include the Los Angeles County District Attorney’s Major Crimes Division, San Francisco trial firm Minami Tamaki LLP, and the Veterans Legal Services Clinic at Yale Law School. In law school, Alex advised startups as an Advanced Student-Attorney with a newly formed Entrepreneurship Clinic and helped run a provisional journal that attained permanent status. Prior to law school, Alex served as a Fulbright Fellow in South Korea. Mr. Su is based in Los Angeles. Successfully obtained dismissal with prejudice of $55 million racial discrimination action brought by individual. Experienced in asset forfeiture cases, smuggling enforcement matters, and other transnational investigations. Served as second chair defense counsel for real estate entity during three week bench trial over an excess of $1million in liability that resulted in mistrial. Served on arbitration team in complex commercial landlord‐tenant lease dispute over millions of dollars in claimed damages. Served on trial team defending scientist‐entrepreneur in multi‐year complex commercial litigation in New York Supreme Court with $150 million at risk. Experienced in representing real estate entities (e.g., businesses, homeowners associations, mixed use developments, large hotels) in other various matters including unlawful detainers, discrimination investigations, zoning disputes, property damage disputes, derivative suits, ground leases, construction‐related disability access, and other enforcement actions.